Made of Ovangkol wood and Bohemian glass. Size: 20,5 cm x 5.5 cm (height x diameter). 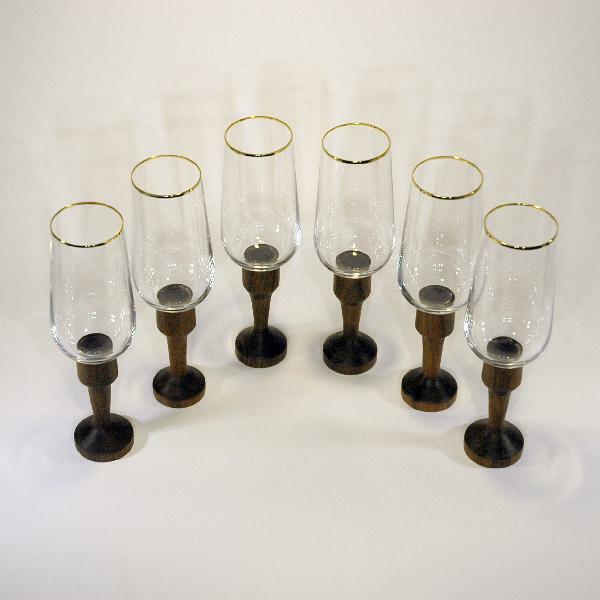 An original set of wineglasses. The bases are carved from rare natural African Ovangkol wood, which has high density and durability. The 180 ml glass is made of Bohemian glass with a gold rim . The glasses will definitely look brilliant during any celebration and make a great gift!